When learning a new language, children reinforce and reinterpret knowledge and understanding gained in learning their first language. They are given the opportunity to develop their skills in listening, speaking, reading and writing and to foster an understanding and appreciation of a different culture. At Hill View Primary our children are taught French across both key stages ( from Year 1 to Year 6 ). They are inspired to be enthusiastic learners of another language through a kinaesthetic approach of acquiring key vocabulary by listening, repeating and miming new words and phrases. They are encouraged to converse on familiar topics in pairs and groups and to demonstrate their oral achievements to different audiences. Correct pronunciation and intonation is emphasised and in some year groups there is the added advantage of having French modelled by a Language Assistant who is a native speaker. The children’s language learning is reinforced by memorising authentic action songs, poems and raps and they are given opportunities to read and translate a range of texts and to access unknown vocabulary from a bilingual dictionary. They are taught how to build and write sentences independently, applying the correct grammatical rules. Moreover they are encouraged to compare and contrast similarities and differences between their first and second languages and to develop their understanding and appreciation of French culture and traditions. Year 2 Made French Speaking Puppets. Quel age as tu? Ou habites tu? We used the school value of independence to learn the days of the week and the months of the year. After singing a song from the smartboard, several children chose to write their own songs with actions to learn the French words. At the end of the lesson, we discussed which method worked best. Most had chosen the method best suited for their learning. Please feel free to test your child any day with the question: Quel est le date aujourd’hui? We also had great fun acting out play scripts, learning useful vocabulary along the way. We hope you enjoy these scenes from a French restaurant. We used the school value of independence to learn the days of the week and the months of the year. 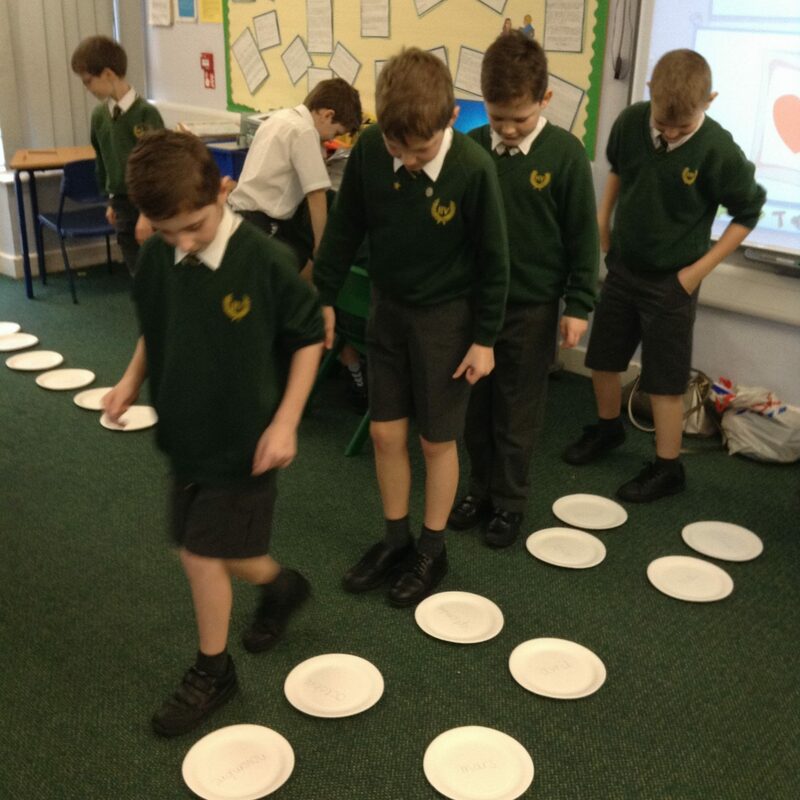 Some children learnt from their books, others made their own matching English to French pair games, others used paper plates on the floor jumping from one to the other in order, others used the voice recorder on ipads, while others made songs or chanted in pairs. At the end of the lesson, we discussed which method worked best. Most had chosen the method best suited for their learning. Please feel free to test your child any day with the question: Quel est le date aujourd’hui?